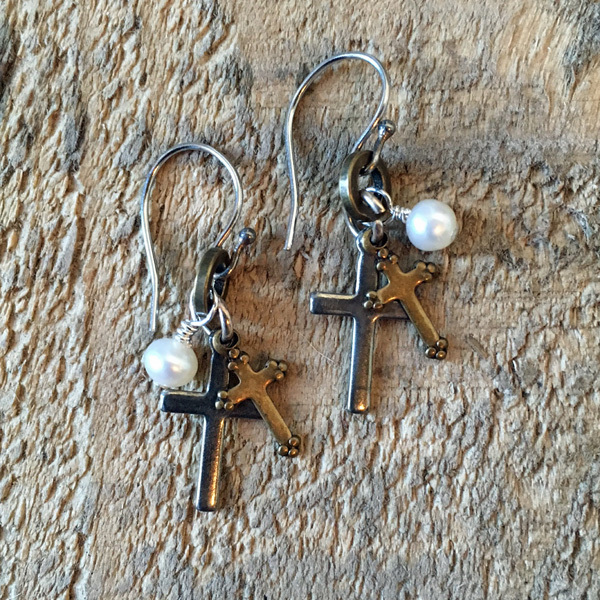 These earrings are a “tiny” reminder of your faith, as well as a subtle fashion statement. 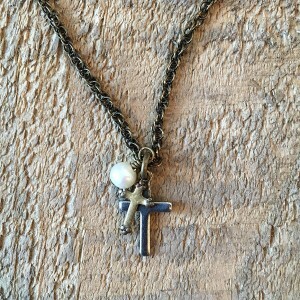 With a small freshwater pearl accent, these are available in your choice of an Antique Brass, Antique Silver, or Mixed Metal Finish (as pictured). Measures approximately 1 inch from top to bottom.